In Mary Shelley’s Frankenstein, written nearly 200 years ago, a young scientist brings to life a hideous monster made of body parts collected from slaughterhouses, dissecting rooms, and graveyards. Dr. Frankenstein is immediately horrified and sickened by what he has created, and he abandons the creature. Alone and shunned by society, the monster later returns and pleads with the doctor to create a mate for him. The remorseful Dr. Frankenstein hesitantly consents, but he stops his work when moral qualms and fears of unknown consequences intercede. Vengeful and enraged, the monster returns again and murders the doctor’s new bride on their wedding night. Dr. Frankenstein vows to spend his remaining years tracking down and killing his grotesque creation, but he himself dies before achieving this final goal. Sadly, there is no shortage of arenas where the tale of Frankenstein — of science unmoored from values, of ambition unrestrained by conscience — resonates powerfully today. 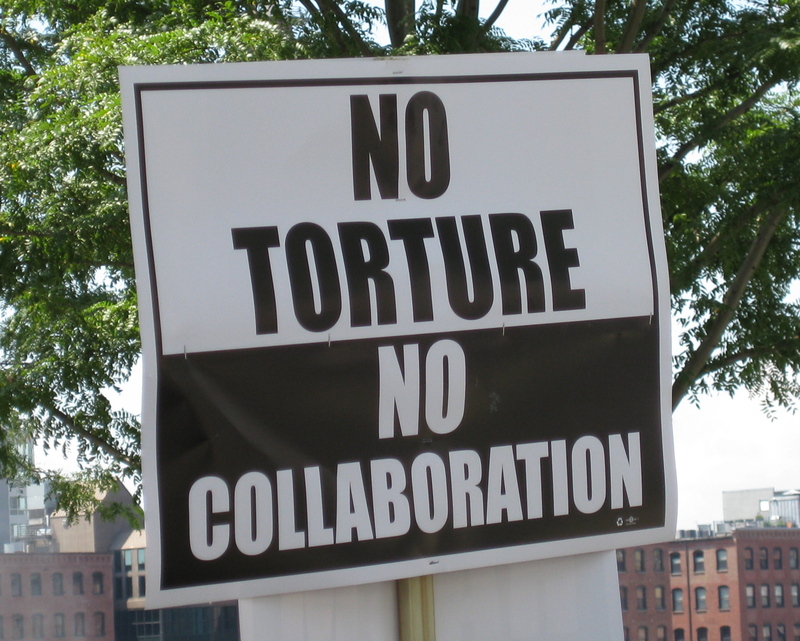 One that stands out for many psychologists is the American Psychological Association’s (APA) ongoing, decade-long embrace of “war on terror” opportunities that have placed U.S. psychologists at the center of coercive interrogations and other human rights abuses. After the attacks of 9/11, moral leadership and clarity of ethical convictions were sorely needed — in the world, in our government and military, and in the profession of psychology. But rather than taking a firm stand in defense of psychological ethics, at key moments APA leaders have chosen to create one monster after another, in the form of policies that support the misuse of psychology by the Department of Defense and the CIA. Into Dr. Frankenstein’s laboratory they have gone time and again. The APA’s monstrosities are not eight-feet tall and made of discarded body parts. But they are undeniably grotesque, and they are assuredly larger than life when measured by the devastation they have caused. Consider these five examples, in chronological order. With input from psychologists in the fields of national security and intelligence operations, the 2002 APA Ethics Code included two changes welcomed by those who embraced the “dark side.” First, changes were made to provide psychologists with the “just following orders” Nuremberg Defense, so that they could claim exemption from professional accountability if “law, regulations, or other governing authority” permitted them to act against the foundational principles of psychological ethics. Second, other changes to the code loosened the ethical requirements surrounding research. Researchers were freed to more readily bypass informed consent from participants, and they were permitted to use deception unless the research would reasonably be expected to cause “physical pain or severe emotional distress.” These revisions were the basis for psychologist involvement in gruesome interrogations and odious experiments on detainees. They became abominations that drained much of the ethical lifeblood from the profession of psychology. Before the APA’s ethics code revision had even been officially adopted in the summer of 2002, psychologists were at work creating and unleashing a second monstrosity: a set of grisly detention and interrogation procedures designed to disorient, debilitate, and degrade their prisoners. Relying on the principles of learned helplessness, psychologists were among the foremost developers and purveyors of the torture regimen. Rather than trying to imbue the spark of life — Dr. Frankenstein’s misguided ambition — “war on terror” psychologists used their laboratories to devise fiendish ways to wrest all dignity and humanity from their unwilling victims: forced nakedness, diapering, hooding and other forms of sensory deprivation, temperature extremes, shackling to ceilings and floors, confinement in dark boxes, intimidation by dogs, sexual humiliation, sensory bombardment, sleep deprivation, exploitation of phobias, death threats, and asphyxiation with the waterboard. At the same time, APA and its leaders co-sponsored and participated in invitation-only conferences and high-level meetings with the CIA, the FBI, and White House officials. A key focus involved positioning organized psychology to advance the Bush administration’s agenda, through psychological research on detecting deception and related topics. Meanwhile, the psychologists’ participation in detention and interrogation operations was institutionalized through the Defense Department’s creation of Behavioral Science Consultation Teams (BSCTs). Official records show that team members offered their psychological guidance in efficiently breaking down the prisoners and effectively adjusting their experience of pain, fear, and anguish. The Defense Department’s description of these activities was very different: by their account, the participation of psychologists helped to keep detention and interrogation operations “safe, legal, ethical, and effective.” APA readily adopted that mantra. In 2004, the photos from Abu Ghraib and journalists’ revelations of torture at Guantanamo provided the public — and many psychologists — with the first glimpse of the horrors that the “war on terror” had let loose: the furtive trampling of basic human rights, international law, and founding principles of U.S. democracy. Now faced with the flames of growing controversy, APA leaders brought forth yet another monstrosity to defend their highly prized turf. With guidance from the military-intelligence community, the APA created the 2005 Presidential Task Force on Psychological Ethics and National Security, which then produced the PENS Report. The Task Force was comprised predominantly of psychologists on the payroll of U.S. military/intelligence agencies — several of whom served in the very chains of command accused of the abuses the task force was purportedly convened to address. High-level APA staff members were present to make sure the blueprint was followed without deviation. Over a three-day period shrouded in secrecy, the PENS Report was brought to life. As planned internally from the very outset, the Report asserted that psychologists indeed play a valuable role in keeping national security interrogations safe, legal, ethical, and effective — just as the Department of Defense had claimed beforehand. Then in an emergency session, the APA’s Board of Directors quickly and officially approved the Report, bypassing a vote by the full Council of Representatives. The key message of the PENS Report was immediately clear to psychologists and interested parties everywhere: our ethics code need not unduly shackle us, we may continue to do the White House’s bidding. The PENS Report was understandably greeted by a chorus of criticism from individuals and groups concerned about human rights and psychological ethics. Rather than acknowledging the legitimacy of this harsh denunciation, APA leaders chose to breathe life into another monstrosity: an Orwellian public relations campaign crafted to torture the truth and to feign outrage over accusations of psychologist wrongdoing. APA spokespersons took to their megaphones to proclaim loudly that they would sanction any professional misconduct brought to their attention — but have failed to even adjudicate the detailed and well-documented ethics complaints brought before them. Instead they lauded the courage and unique skills of psychologists engaged in detention and interrogation operations. A representative of the APA’s military psychology division declared that “people are going to die” if psychologists are removed from Guantanamo. Simultaneously, APA leaders were engaged in a much broader creative enterprise. They worked to construct a persuasive account that would further expand the opportunities available to psychologists in the national security arena. The narrative’s foundation was the PENS Report, which asserted that it is ethical for psychologists to be involved in “war on terror” detention and interrogation operations. Upon that frame were built reinterpretations of the APA Ethics Code that took long-standing ethical principles and ground them to sand. One common refrain was the claim that, at places like Guantanamo, the psychologist’s client is actually the U.S. military (or another security agency), not the prisoner being subjected to harm, coercion, and abuse. Likewise, ethical concerns surrounding informed consent, confidentiality, and exploitation were deemed to be inconsequential whenever they posed obstacles to the mission. Compounding the damage already done to the ethical landscape of professional psychology, a fifth monstrosity is now being stitched together within the APA. Advance publicity for this creation bills it as a single comprehensive document that will reconcile all APA policies related to national security. Purporting to replace the “outdated” PENS Report, this initiative will actually further institutionalize the disturbing view that psychologists can ethically participate in national security operations that harm, exploit, deceive, and coerce — as long as their actions are not deemed torturous, cruel, inhuman, or degrading. Following in the footsteps of its predecessors, this creation will obstruct the urgent need to engage diverse stakeholders in a broad, independent, and transparent discussion of psychological ethics and national security. Operational psychologists’ adverse impact on the immediate targets of their interventions; the absence of voluntary informed consent from these individuals; and the lack of oversight from outside organizations — these are issues of profound ethical consequence for the profession. But if successful, the APA’s latest ploy, disguised as a “member-initiated task force,” will submerge these concerns and suffocate attempts to re-establish these basic ethical foundations. All the while, further inroads will be made by those seeking to make operational psychology an increasingly influential and uncontested voice in redefining the principles of psychological ethics. Psychological ethics are matters of profound consequence. They exist to ensure that our specialized skills and knowledge are not used in ways that violate the profession’s core principles, its commitment to human welfare, and the public trust upon which we depend. They also serve to bind us together as a community engaged in shared work, while providing moral guidance and collective support for the individual psychologist confronted with difficult decisions or unreasonable demands. Ultimately, psychologists cannot be effective healers, researchers, or teachers without an ethics code that commands respect and accountability. The fictional Dr. Frankenstein abandoned his profession’s ethical principles. But he grew horrified and remorseful over the choices he had made, and he took steps to curtail the damage for which he was responsible. Thus far APA leaders have followed a very different path. They seem largely oblivious to or untroubled by the harm that their own monstrosities have caused — to targeted victims and to the profession alike. Indeed, their laboratory remains intact and there may be yet another creature stirring on the table. This is deeply regrettable. Note. Many psychologists and other concerned organizations and individuals — including human rights advocates, health professionals, attorneys, military-intelligence professionals, and ethicists — are working to illuminate these disturbing issues and to press for change. The Coalition for an Ethical Psychology is one of these groups, and more information about the Coalition is available at www.ethicalpsychology.org. Interested readers are encouraged to sign the Coalition’s online petition calling for annulment of the APA’s PENS Report at www.ethicalpsychology.org/pens.